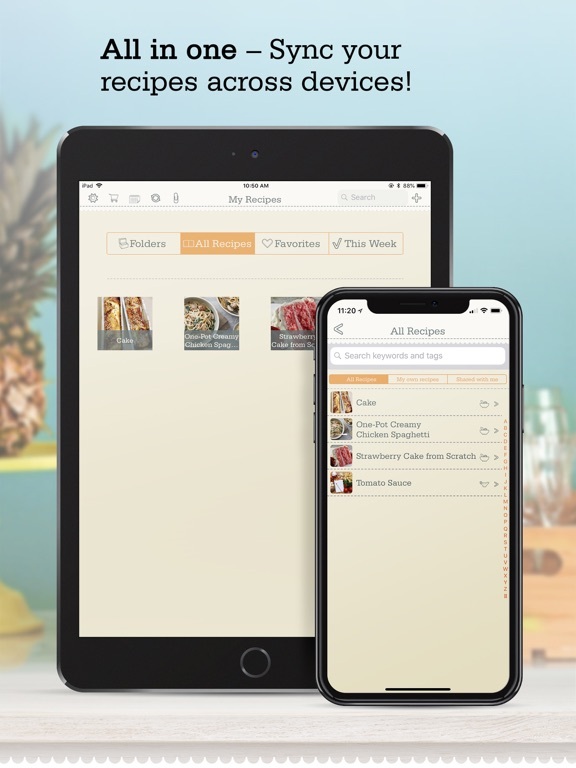 Eliminate those stacks of cookbooks and recipe organizers from your kitchen when you store your favorite recipes in the OrganizEat Recipe Organizer. 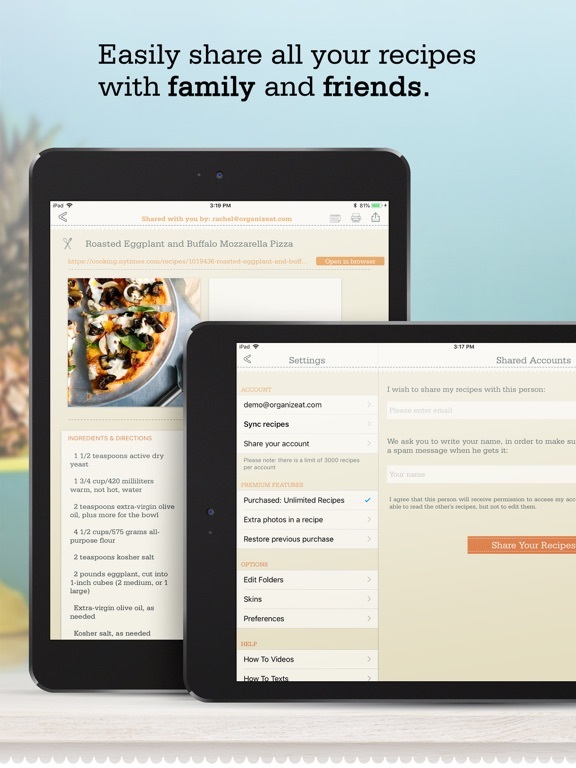 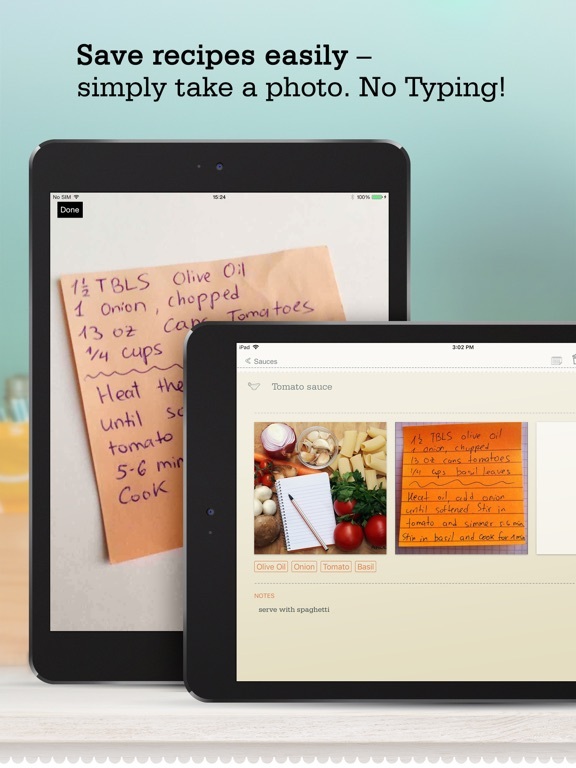 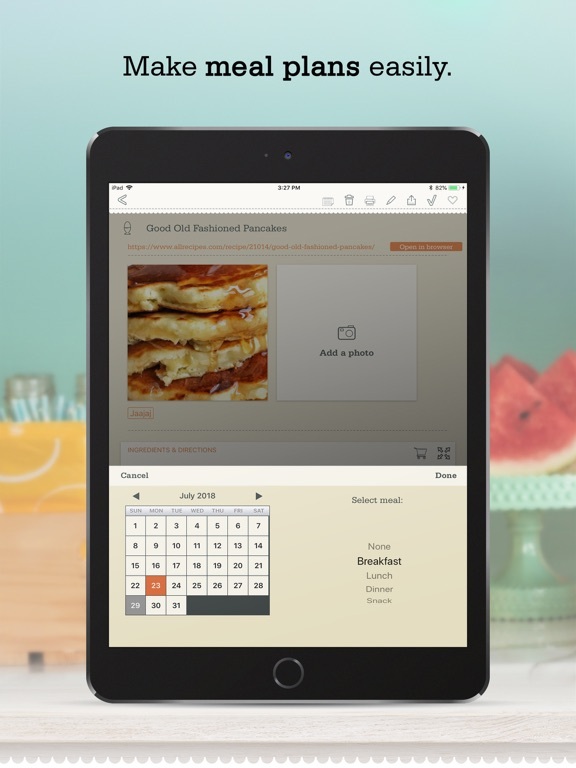 This handy app lets you keep all your favorite recipes organized right on your iPhone. 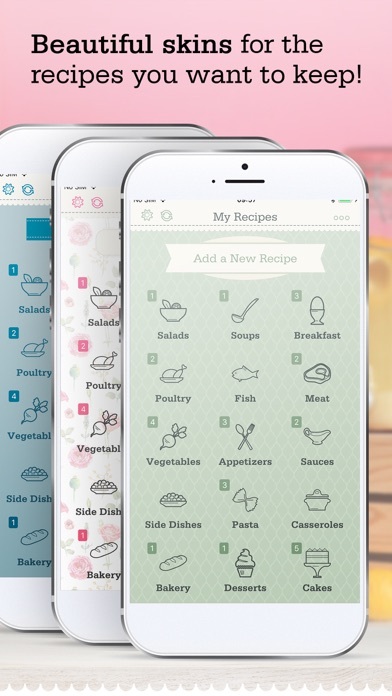 Use this app to keep Grandma's secret recipes stored, or use it to organize your own custom recipes. 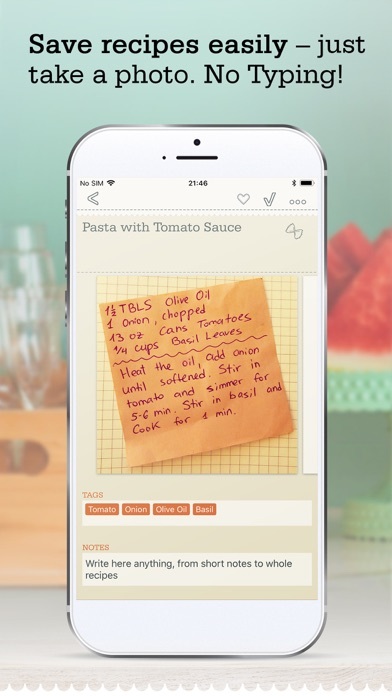 Simply snap a photo of your recipe and it's ready for you to view. 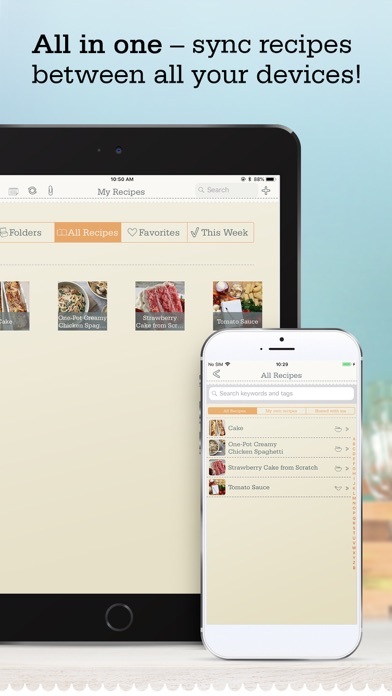 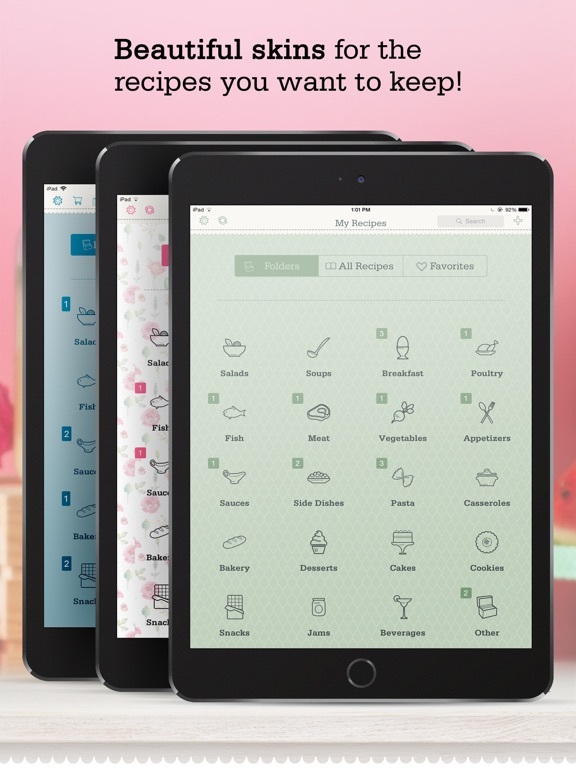 The app keeps your recipes organized by category, and you can tag each dish for easy searching. 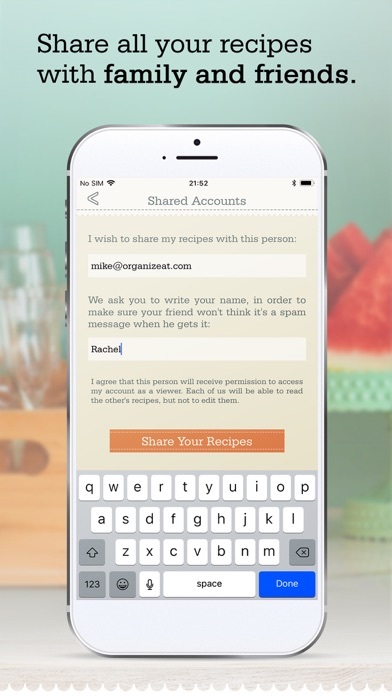 Share your recipes with friends by email, text messages or social media. 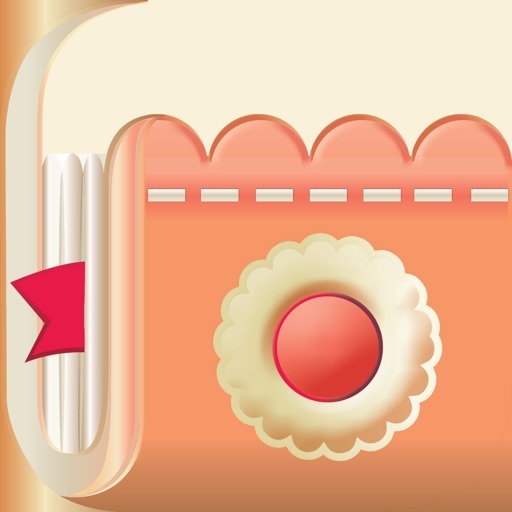 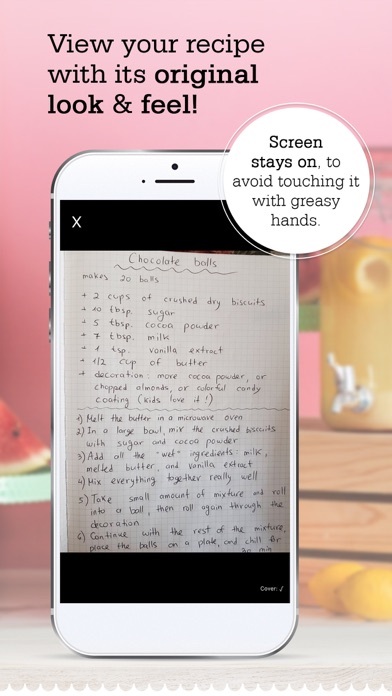 · Enter each recipe into the app by snapping a photo - no need to type! 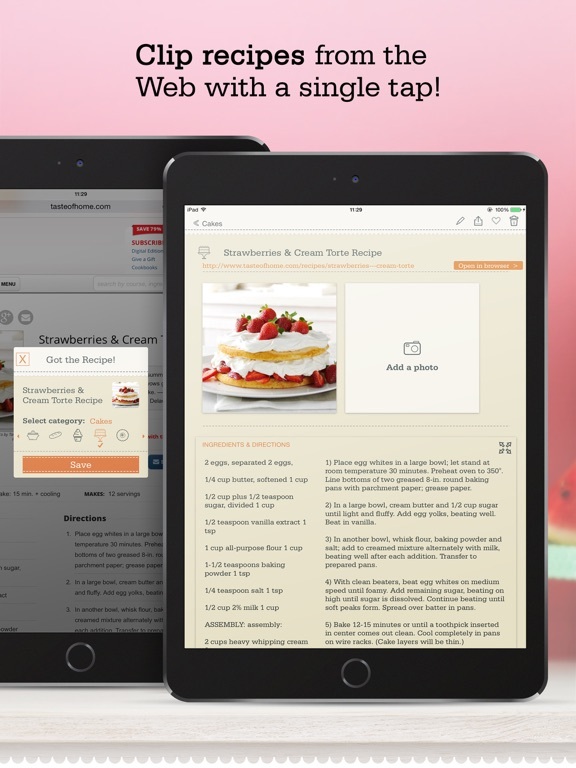 · Save recipes from the web automatically - almost 200 popular sites supported! 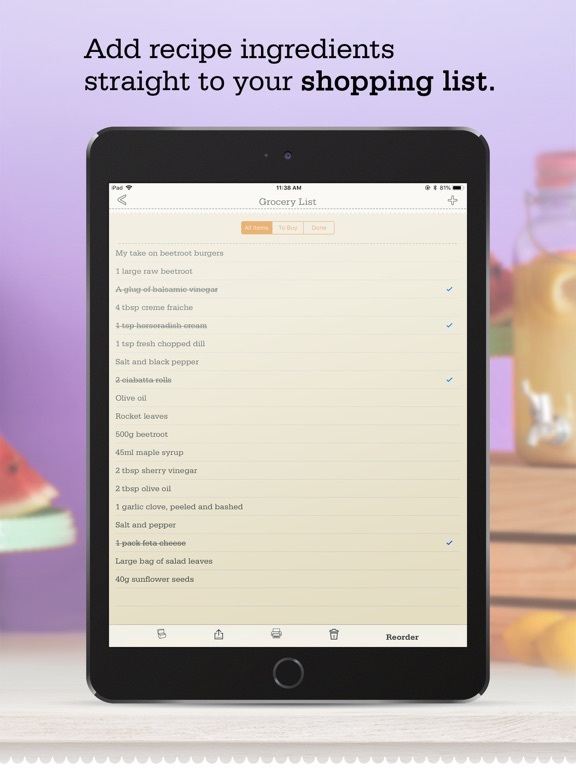 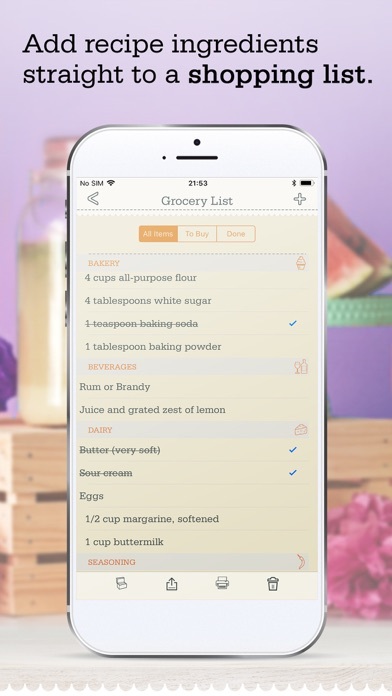 · Grocery List: add recipes ingredients to your shopping list with a single tap! 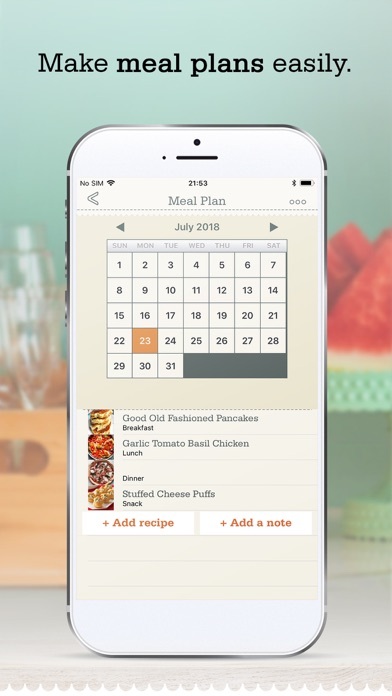 · Meal Planner: plan your meals for the entire month, and generate a list! 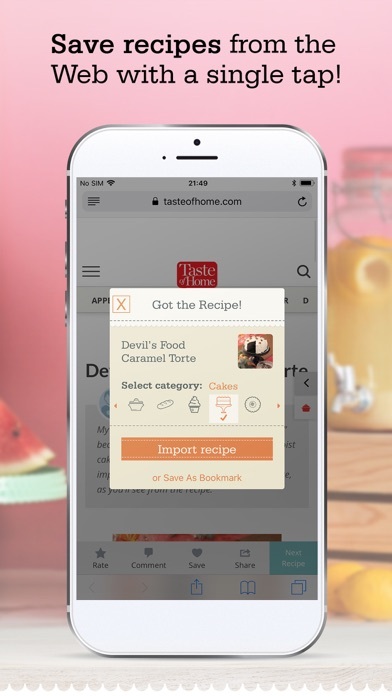 · Backup your recipes and sync them across all your devices! 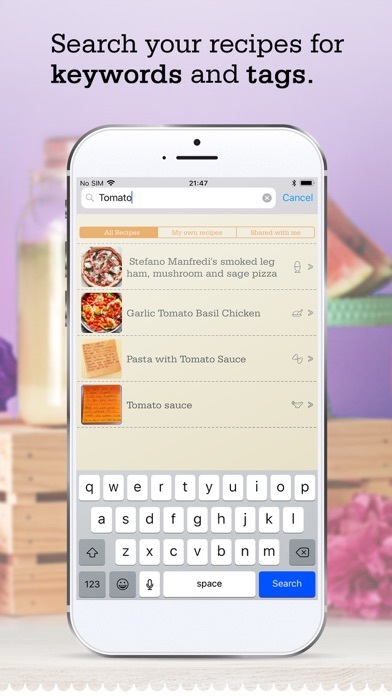 · Add searchable tags to easily find your favorite dish. 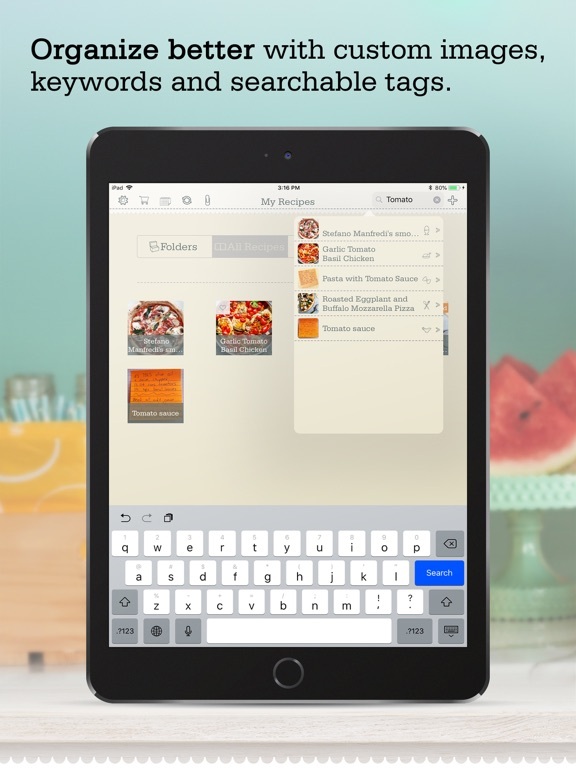 Multiple tags search is also supported! 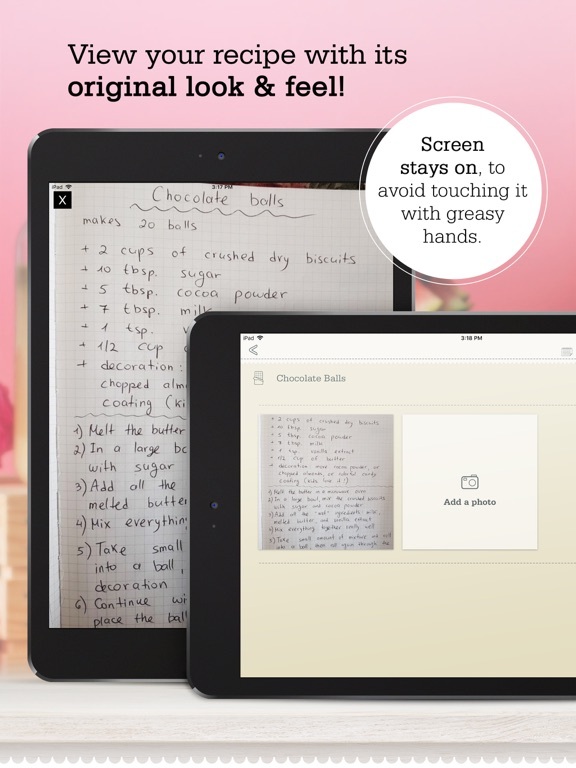 · View your recipes full screen while cooking - and the screen will not turn off - so there is no need to touch the screen with greasy hands! 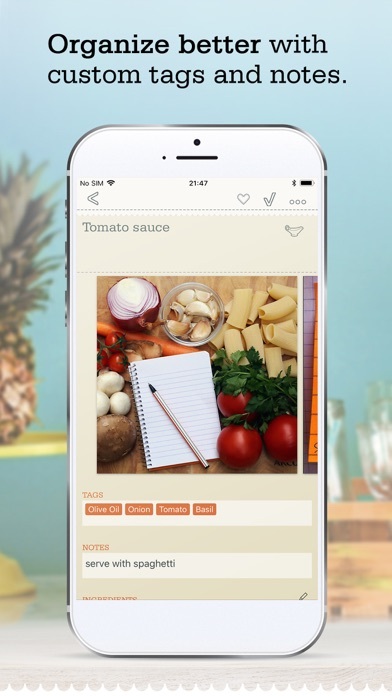 · Share recipes with other app users by a single click!